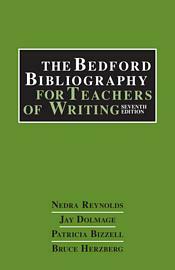 Since the first edition of The Bedford Bibliography published in 1984, the field of composition has grown and changed in ways no one could have imagined. The seventh edition of this essential, highly praised resource has been updated to reflect current research and expanding specializations in composition and rhetoric – such as digital writing and visual rhetoric and business and technical communication – and includes an annotated list of over 860 articles, periodicals, and online resources. An introductory section also provides a brief historical overview of these fields.